A Carolina Love . . .: My First Award! 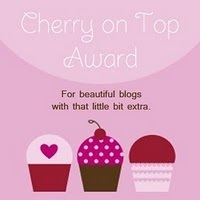 I can't help but to feel a little tinge of jealousy when the blogs that I stalk read have a multitude of awards. The 6-year old comes alive inside of me and screams "I want one too!". Well thanks to my dear friend and fellow blogger Nicole, I now have one! 1. Before I say this, I realize that I am not yet "old" and most would still classify me as young...BUT if I could change one thing, I wish that I would have appreciated my youth a lot more. I wish I would have not cared so much in high school about things that didn't matter. I wish that I would have realize how much those memories I made my 4 years at App would mean. Growing up isn't all it's cracked up to being and though I love being married and owning a home, the level or responsibility leaves little to be desired. But with that said, I have also started to learn to cherish the season of life that I'm in right now. Where I'm still classified as young and not yet old. 2. Now my picks for passing this on! My friend Nina always has wonderfully written and delicious blog posts. If it were possible to reach through the screen to eat something, this would be the blog I would choose to do that. I always love reading what Emily has to say about transitioning into married life. It's definitely an adventure and she decribes it wonderfully. Although now she's busy becoming the next super doctor, I love reading Kristin's thoughtful and Godly posts. Sheila's blogs always make me think, laugh and be thankful for knowing such a Godly wife and mom! I was so happy when I saw that my awesome cousin started her blog. It's personal and real and you can't ask for more than that. Whew, that was harder than I thought it would be! 3. Thank you again Nicole for thinking of me for this award! You are so sweet and I'm glad that blogging has made our friendship closer!